Morris A. "Mike" Skaalen was born on March 4, 1918, in Boyd, Minnesota. He attended Gustavus Adolphus College in St. Peter, Minnesota, for one year, before signing with the American Association's Minneapolis Millers in 1938. The Millers sent the 20-year-old right-handed pitcher to the Crookston Pirates of the Class D Northern League, where he was 6-7 in 23 games. Back with Crookston in 1939, Skaalen was 10-14 in 34 appearances with an excellent 2.99 ERA. After spending spring training with the Minneapolis Millers at Daytona Beach, Florida, 1940 was to be Skaalen's third season with Crookston and he posted a 9-18 record in a team-leading 31 appearances with a 4.46 ERA. In 1941, the 23-year-old advanced to the Class B Three-I League's Moline Plow Boys, where he was 5-14 in 27 games with a 3.68 ERA. Despite not posting a winning record in four seasons, Skaalen was still looked upon as a pitching prospect in the Millers' organization (Crookston had finished third in 1938, the year he posted his best record, but finished eighth and seventh in 1939 and 1940. Moline finished eighth in 1941), but that was put on hold in March 1942, as he entered military service with the Army Air Force. Skaalen graduated as a bomber pilot and was assigned to the 98th Bomb Squadron, 11th Bomb Group, 7th Army Air Force, in the Pacific, where he flew Consolidated B-24 Liberators. 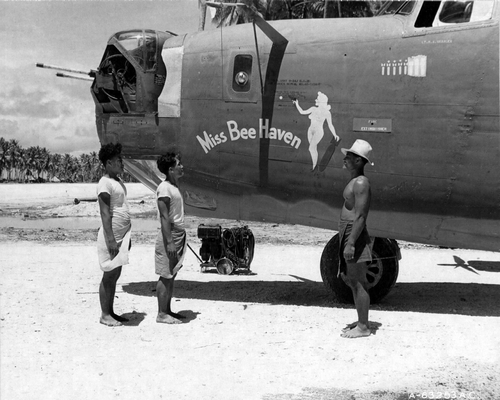 On January 21, 1944, at Betio Island in the Pacific, Lieutenant Skaalen was piloting B-24J "Miss Bee Haven", which crashed shortly after take-off. Of the 10 crew members, only three survived (Skaalen was among the survivors). He was returned to the United States and recovered at a military hospital in Iowa, where he met his future wife, Lyda Helder. Skaalen had paralyzed his fingers in the crash. His professional baseball career was over but he still managed to pitch for the Holland Flying Dutchmen, while attending Hope College in Holland, Michigan. In September and October 1945, Skaalen was selected to pitch for the Kalamazoo All-Stars against the Detroit Tigers and Johnny Rigney's Major League All-Stars. Graduating from Hope College in 1949, Mike and Lyda moved to Coronado, California, where they raised four children and he was a member of the local high school faculty. Their son, Jim Skaalen, played three seasons in the Orioles' farm system during the 1970s, and coached in the minors during the 1980s. He was a Minor League Hitting Instructor for the Texas Rangers in 1990, Coordinator of Minor League Instruction for the Seattle Mariners from 1991 to 1996, Director of Player Development for the San Diego Padres from 1997 to 1999, and Minor League Hitting Co-ordinator for the Milwaukee Brewers from 2000 to 2006. In 2007, he became the hitting coach for the Milwaukee Brewers, and joined the Oakland A's as a hitting coach in 2009. More recently, Jim Skaalen has been a scout for the Toronto Blue Jays. Mike Skaalen, ballplayer and wounded veteran, passed away on November 30, 1999, in Coronado, California, aged 81. Nanumea Island, Ellice Islands, on December 14, 1943, five weeks before he crashed.